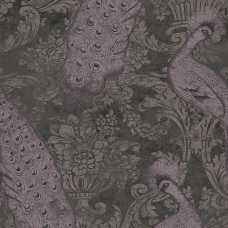 Precious mineral hues combine with ornate and decorative patterns to create the elegant Byron Wallpaper. 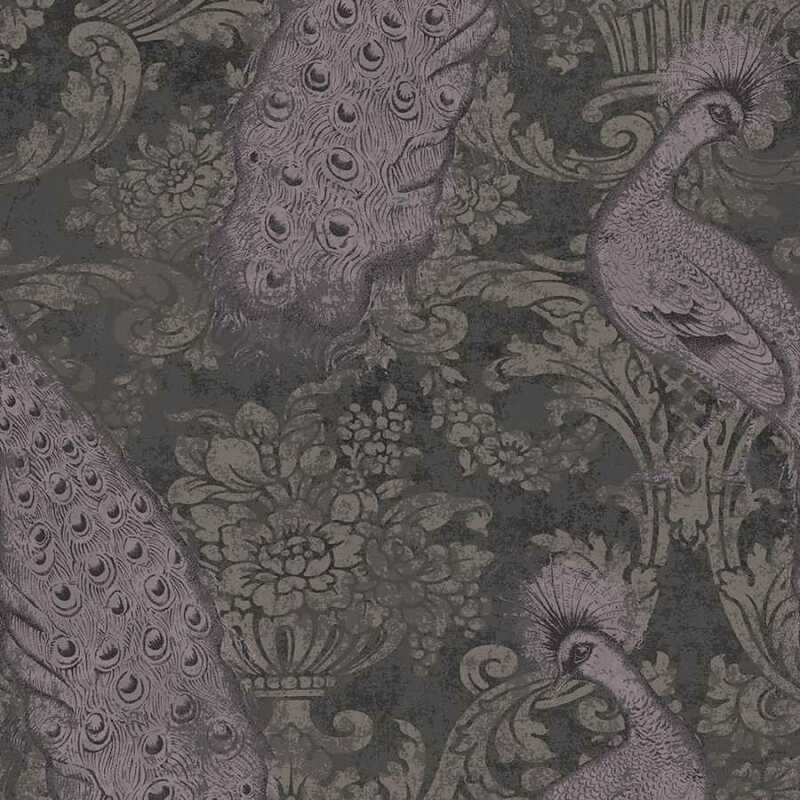 This design shows off both a classic damask pattern and an array of gilded peacocks, one of the most popular and beloved ornamental birds of the Victorian period. The wallpaper is named after Lord Byron, known for his lifestyle as well as his poetry during the romantic period and it is part of the Albemarle collection by Cole and Son. The whole collection celebrates the Romantic Period and draws from the extensive Cole and Son print and design archives. The elegance of the Byron design’s damask is taken to another level with the shimmering gilded peacocks standing out and adding an original, sophisticated twist. 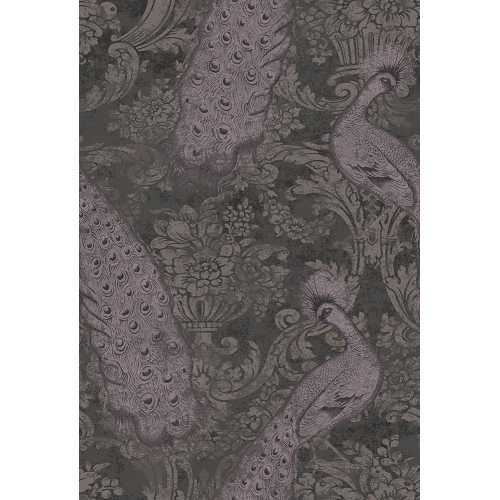 In this 94/7040 colourway, it incorporates gentle amethyst tones with cool, dark charcoal and together they create an opulent and eye-catching feature for any room. 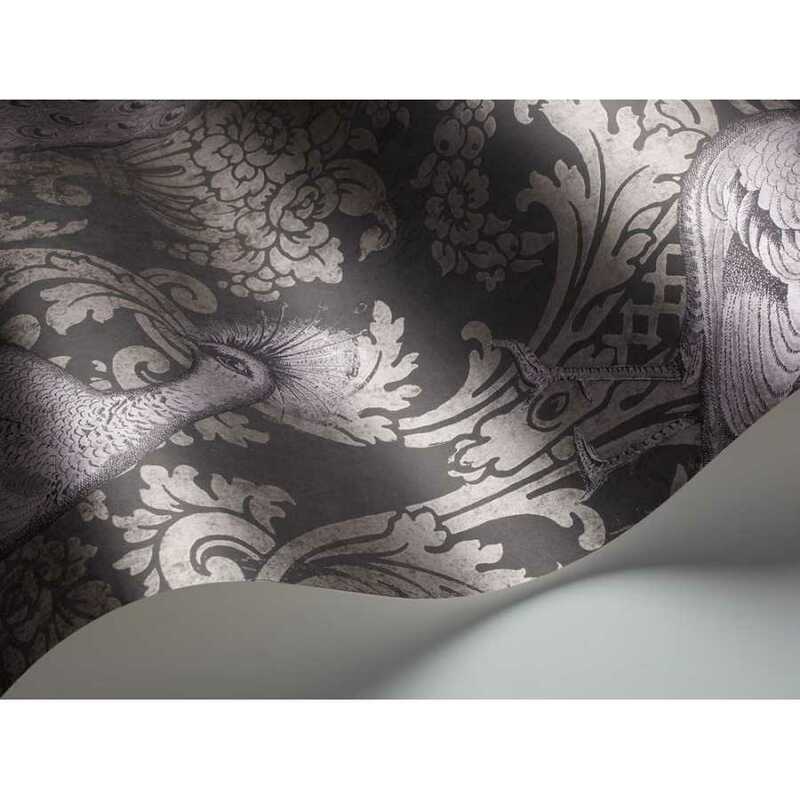 Each roll of Byron Wallpaper measures 53cm in width and 10.05 metres in length. It has a straight pattern match and a 76cm pattern repeat. If you are interested in finding out more about the designers behind this piece and would like to explore the rest of their collection, please visit our dedicated Cole and Son brand page.